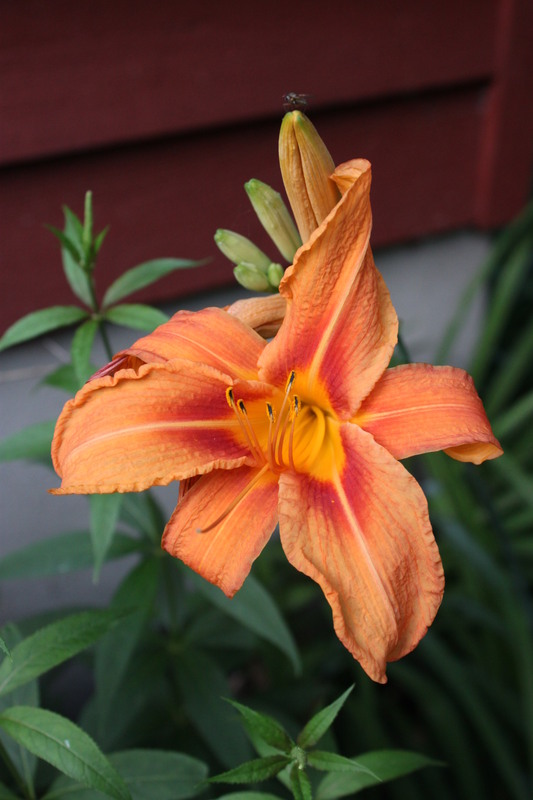 Note: For years I had admired these orange daylilies growing wild in large patches along roadsides of farms and houses in the country, as well as beside small woods. I had looked for them at nurseries but not found them. Finally, a few years ago, I found a tiny clump along a roadside, nowhere near any home and decided to transplant it to a spot in my garden near the front of the house where I would get to see it more often. Not only was the transplant successful, but over time this plant has flourished and grown into a good-sized patch, offering up a splendid show of orange daylily flowers every summertime for me to enjoy.